The Heard Museum hosts Educator Events throughout the year. Visit our events page for upcoming events. All events are free but registration is required. June is Teacher Appreciation Month. Educators with a valid teacher i.d. receive complimentary general admission during the month of June. The museum offers a free multi-day institute where Arizona K-12 educators can acquire Standards-based tools and resources to teach American Indian history, culture, and art. Educators can network with one another and leave with tangible lesson plans that can be adapted to fit individual classrooms. Participants will gain an understanding of American Indian Boarding Schools, American Indian Contemporary Art and Native People of the Southwest through lectures, presentations, guest speakers, artist demonstrations, gallery tours, and discussions. The next Teacher Institute is scheduled for June 24-26, 2019. Exclusive events and select exhibition receptions. 10% discount in our Heard Museum Shops and Cafes. The Heard Museum’s Books & More shop accepts school Purchase Orders (PO) for educational materials such as books and DVDs. This service is available Monday through Friday from 10:00 a.m. until 4 p.m. Please call Books & More at 602.251.0258 to schedule your visit so that staff can be available to assist. Staff will need a printed copy of the PO to complete your order after you have selected your titles. As a non-profit, the museum shops do not charge sales tax. The Billie Jane Baguley Library and Archives is a comprehensive research facility offering extensive information about indigenous art and cultures from around the world and an unparalleled resource collection on nearly 25,000 American Indian artists. Admission to the library is free Monday through Friday, 10:30 a.m. to 4:45 p.m. There are no weekend hours. 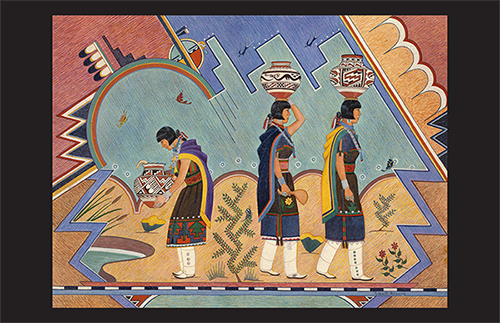 Every spring, student artists are invited to submit work for the 33rd Annual Heard Museum Guild American Indian Student Art Show & Sale (SASS). The event features the artwork of American Indian students in grades 7-12 from communities across the United States. Teachers with students participating in the current year’s show may apply for art supply grants for the following school year. Learn more about the current year’s application process at heardguild.org. The Heard Museum is proud to make available this high school curriculum on the American Indian Boarding Schools as part of our longstanding commitment to documenting and sharing this important part of American history. The curriculum was created as a means to teach high school students about this lesser known experience. 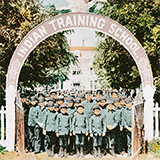 Included are activities that ask students to examine American Indian Boarding Schools with a critical and analytical eye. The activities can be used by English, Social Studies, and Art teachers individually or can be assigned across subjects. Our curriculum offers students general information divided into key components so they can develop a basic understanding of Native People of the Southwest. Curriculum packets are currently being developed for 4th Grade that include a range of activities that relate to Social studies, English, Science, Math, and Art. Many of the activities have also been aligned to 4th Grade Arizona state standards. 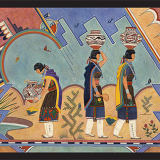 Teacher’s Resource Art Posters feature art objects that are found in HOME: Native Peoples of the Southwest. The full color 11×17 inch posters include detailed information on the back with object description, cultural context; vocabulary and suggested in-classroom discussion topics. A set of five posters is offered for free with paid shipping and handling costs of $5. Please fill out the form below and you will receive a confirmation email with a link to pay for shipping costs. Contact education@heard.org if you do not receive an email or if you have any questions. A set of five posters is offered for free with paid shipping and handling costs of $5. Once you have submitted your information, you will receive a confirmation email with a link to pay for shipping. Please contact education@heard.org if you do not receive the email within 24 hours. Thank you. Take a virtual field trip throughout Arizona’s tribal communities. Learn more about the state’s cultural centers and hear from tribal leaders. Developed with the support of the Nathan Cummings Foundation. A resource guide focusing on painting and sculpture produced by American Indians in the continental United States since 1900. Appropriate for all levels. Accompanying slides are free. Download a PDF of the resource guide. For more information, contact the Heard Museum’s Education Department by email at education@heard.org. Does your school currently have Title I status? If you answered “yes,” did you know that you can get your museum admission and transportation covered if you book your trip through Act One?